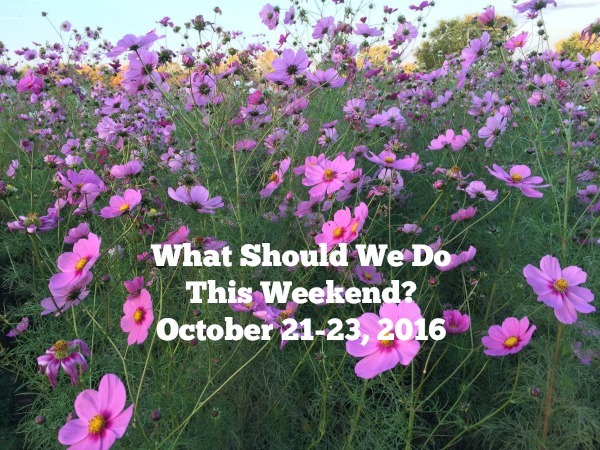 circleville pumpkins show Archives | What Should We Do Today? This famous local celebration of pumpkins features lots of live music, story times, parades, pumpkin carving, a baby parade, big wheel races, food and craft vendors, rides and anything pumpkin you can imagine! Halloween and Fall Harvest parties start this weekend at your local Columbus Recreation and Parks locations! See the link for the dates and times at each location! If you’re looking for a road trip this weekend, Roscoe Village is about 90 minutes from Columbus and this festival will offer artisan, craft and food vendors, bluegrass music, canal boat rides, a children’s activity area, Living History Tours, Spirit of Roscoe tours and of course, apple butter! If your kids love books, don’t miss this warehouse sale featuring children’s and young adult books for just $5 each! Tour the zoo while trick or treating for goodies, visiting with special characters and more! These tours, recommended for ages 12 and up, involve touring the Statehouse by lantern light, learning about the history and legends of the haunted Ohio Statehouse! There will be art activities prior to the tour! Tickets should be bought in advance online or by calling the number above. Tickets are $5 for this presentation of The Wizard of Oz by the Westgate Theater Co. and Carriage Place Players! See the link for information about the Empty Bowls event preceding the Saturday night performance! Take part in this spooky walking tour to learn about reported hauntings in Worthington! These tours are recommended for age 13 and up and tickets can be purchased for $15.00 at Fritzy Jacobs or The Shop at the Old Rectory! You can still register for this weekend’s 38th Annual Great Pumpkin Run 5K featuring a Kids Tiny Tot Race! I shared earlier this week about our trip to Freeman’s Farm! This weekend you can take a hayride, cook your own food over a campfire, pick a pumpkin, make a scarecrow, pet animals and shop the market! Hilliard’s businesses will be celebrating Halloween with trick or treat, a scavenger hunt, fun activities and a costume contest for kids and dogs! Ohio Village will be open for Halloween 1890’s style, including a retelling of The Legend of Sleepy Hollow by the bonfire, pumpkin carving, fortune telling, crafts, games and more! Sundays will feature Halloween themed tours and goodie bags for the kids! Bring your costumed pet for this fun fall event including prizes for the best costumes plus kids activities and carriage rides! Children are invited to come in costume and collect treats from characters along a spooky trail! There will also be hayrides and pumpkin decorating!